Ben Murray Bruce, senator representing Bayelsa east, has asked why the federal government’s allocation for defence and security would be three times that of education and youth development. In a series of tweets, Bruce wondered why the federal government would budget N462 billion for education while N1.3 trillion would be allocated for security. 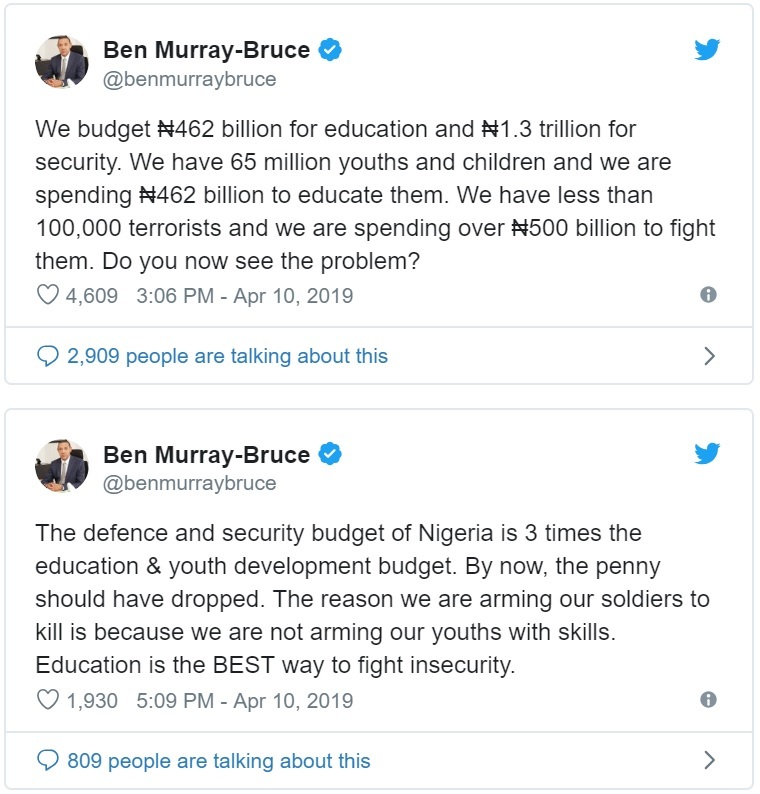 The lawmaker said while N462 billion had been set aside to educate 65 million youth and children, N500 billion is meant to fight less than “100,000 terrorists”. 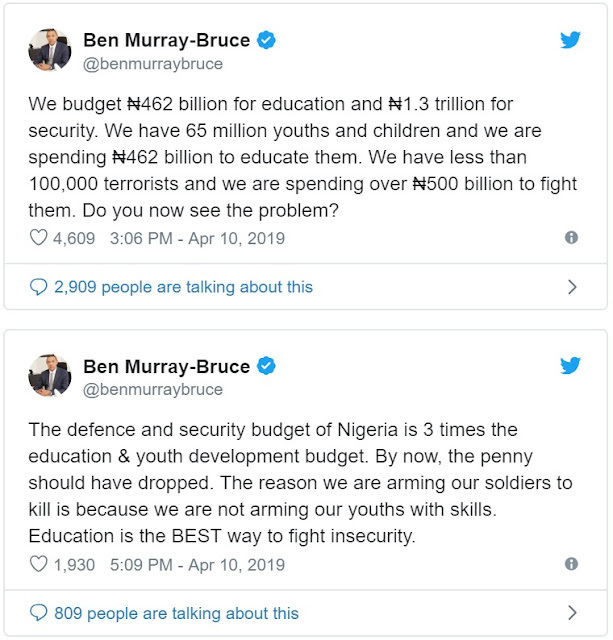 “We budget ₦462 billion for education and ₦1.3 trillion for security. 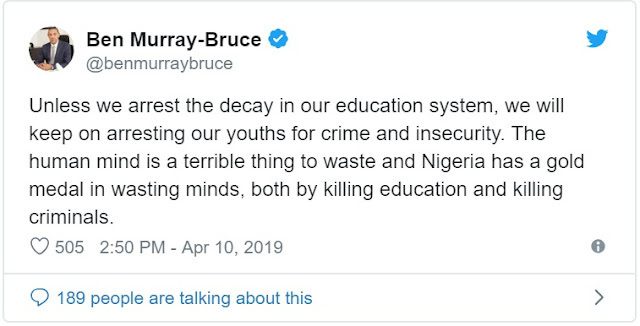 We have 65 million youths and children and we are spending ₦462 billion to educate them. We have less than 100,000 terrorists and we are spending over ₦500 billion to fight them. Do you now see the problem?,” Bruce wrote. “The defence and security budget of Nigeria is 3 times the education & youth development budget. By now, the penny should have dropped. The reason we are arming our soldiers to kill is because we are not arming our youths with skills. Education is the BEST way to fight insecurity. 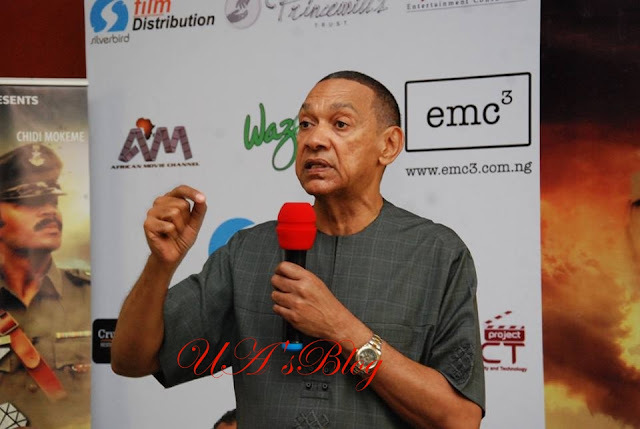 There is no official figure of Boko Haram fighters while as of May, Rasheed Abubakar, executive secretary of National University Commission (NUC), said there were 1.9 million students across public and private universities across the country. The figures from colleges of education, polytechnics, monotechnics and secondary schools is not expected to be up to 10 million.